Web Exclusive: An oral history of one of America’s most popular bands. Editor’s note: You can find the full feature story on The Avett Brothers by Michael Kruse right here or on page 82 of the January 2013 issue. 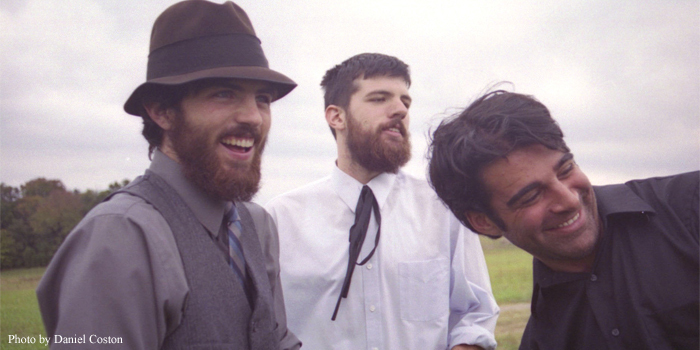 I graduated from Davidson College in 2000, and I first heard about the Avett Brothers — intriguing, energetic, and local — probably not two years after that when I still lived in the state. Fast-forward a decade. When Our State asked if I wanted to write about the Avetts and their origins, I said yes, of course. (Editor’s note: What he said was, “I’m prepared to report to the dirt in Concord.”) It was an opportunity to do something that was more than a celebrity profile, to think about why the band sounds the way it sounds, this somehow authentically Piedmont musical mix. It’s an interesting moment for these guys. They’re big stars now. But they’re also still just two brothers from a close family from the country just outside Concord. To do the story, I saw them play in October in Gainesville, but more importantly I drove from Florida, where I live now, to North Carolina, where I spent about a week. In my reporting, I talked to all five members of the immediate Avett family — father Jim, mother Susie, sister Bonnie, brothers Scott and Seth — and a couple dozen others who know them and their music well. Their words are a window into the Avetts of North Carolina. Jim: The family can be traced back to the late 1700s. Two brothers came over from Ireland to Virginia first. They all, at times, were farmers, and all of them were working people. No royalty on the Avett side. Susie: May 31, 1969, in Liberty, North Carolina, his dad married us. Bonnie: Our parents were not indulgent, but they were very generous with their love and their time. They taught us through story, through travel, they taught us that the world is much larger than our single family unit. We have a responsibility to ourselves, to our families, to our fellow brothers and sisters — not just your family, your blood, but the human family. Harold Winkler, former superintendent, Cabarrus County Schools: They’re a unique family circle. I think they have a very strong sense of stewardship for the earth. I think they really try to take care of what they have. They’re not urban people. They are folks who live out. They have acreage. And they have a great respect for that land and that acreage. Bonnie: Mama just let us go. We just ran and played, out in the woods, out in the fields, down in the barn. We had camps in the woods. Susie: Jim told the kids stories at night. “Daddy, tell us a story,” and he’d sit on the edge of the bed. Bonnie: We took lots of road trips. My dad, he will drive for hours at a time, no stops. Susie: We sang in the car. Scott: Chrysler LeBaron. ’86? More like ’83? ’79? Susie: We’ve never had a new car. Ever. Jim: It’s easier for me to sing harmony with my brother because we got the same DNA. I can sing harmony with my children because we got the same DNA. I love harmony. I absolutely love harmony. Susie: John Denver. Bob Dylan. The Commodores. North Carolina beach music. The Four Tops. The Temptations. The Kingston Trio. Peter, Paul and Mary. So much different music. Susie: They took piano lessons, all three of them, starting probably when they around 6. The boys, when they were a little older, started taking guitar lessons. Nelson Mullis, guitar teacher: Seth took lessons from me for quite a few years. Scott took lessons, too. Rock ’n’ roll, county or blues, bluegrass, Chet Atkins, folk music, gospel — just play a little bit of everything. David Childers, musician, friend: They were making records with their daddy for church projects to raise money. Jim: I’ve never had a lesson in guitar and it shows. My daddy didn’t play a guitar. He sang. And in the last three of four years of his life he learned to play the piano. He learned to play the piano so he could play gospel. He loved hymns and he loved singing. Mama was a very good pianist. She was the kind of woman who’d be in the kitchen fixing supper and I’d be practicing on the violin and I’d hit a B-flat, and she’d say, “That’s a B you’re looking for.” How did she hear that? This is how the kids got it. Jim: There are some things that music does for you that nothing else does for you. Exclusive: Watch Jim play a song for writer Michael Kruse while he was interviewing the Avett family. Gus Engstrom, friend: Danzig, Led Zepplin, Nirvana, Soundgarden. I mean, (Scott and Seth) grew up on a farm, and they were listening to that kind of stuff. Real heavy, sludgy music — when I met the Avetts, that’s what they were into. Ryan Barringer, musician, friend: There was constantly a fire burning somewhere, guys hanging out, talking, playing music. They would play anything from old folks tunes to gospel music to acoustic versions of Nirvana. Bob Crawford, Avett Brothers, stand-up bass: It was a Sunday evening in a Media Play parking lot. I pulled in in my pickup truck. I had the upright bass in the back. They came in Scott’s gold Ford Taurus station wagon. Scott: We needed a bass player badly. Bob really wasn’t playing stand-up bass all that long. Crawford: I’d just started two months before. They were wearing cutoff shorts and flannel shirts and didn’t really talk. We started playing some. “Going Down The Road Feelin’ Bad.” “Worried Man.” “Kind of in Love.” “My Lady and the Mountain.” I was really impressed with their songs. Seth: I remember being really, really excited by the sound, the texture of the stand-up bass. It just felt like so naturally the next thing. Crawford: We would practice in public. When you learn the most is when you’re actually in front of people doing something. Seth: We would kind of learn a song right there. Jeremy Davis, friend: It was them and me in the car. We drove down to Charlotte and they got in front of the Fox and Hound and just played. They ended up getting run off. We drove to the Dairy Queen on Central Avenue and they played there. Seth: One time we took a 900-pound piano in the back of a pickup. Daniel Coston, photographer who worked with the Avetts early on: It takes a lot of gumption. I think it was instilled in them by their parents. They were just so supportive of what their kids were doing. They would do everything they had to to get their music out. Dolph Ramseur, Avett Brothers, manager: Scott had a Ford Taurus wagon. They went cross-country. They were playing on street corners all the way to Seattle and back. Scott: We drove to California and up to Seattle and back and played where we could. We spent all our money and came home hungry and exhausted. That was the start. Seth: Scott and I were each other’s allies. We looked at it that way. We were looking out for each other. I felt like we could get out there and live. Ramseur: There was a story in the local paper. My mom saw the article. Linda Ramseur, Dolph’s mother: I just remember seeing the article and kind of passing it along. I knew Dolph was interested in local music and I knew of the Avetts and their family and what fine people they were. Ramseur: I wrote Scott an email: Hey, I’d like to know more. I’ve got a record label here in Concord. He told me they were playing at the Wine Vault. Scott: The Wine Vault felt like this sort of first mountain to conquer. We started at $150 a night, for three hours, 45- to 50-minute sets with 10-minute breaks, and we had to bring our own PA.
Ramseur: Scott was playing banjo and stomping on a drum. Seth was playing an acoustic guitar and stomping on a cymbal. Scott: I remember Dolph being there, in the back, noticing him, and him talking to us about the bands he loved and about North Carolina music. Crawford: Those shows were just raw, like really raw, like nothing mattered, time didn’t matter, being in tune didn’t matter. Ramseur: There was no classification for what they were doing. Crawford: I don’t want to put it in a box. I just want to make music. Scott: The energy was beautiful. Coston: When I first saw them, Scott would play the most basic of banjo chords. But the heart of it was already there. There was something that people latched onto at the very beginning. Davis: People would have to stop just to listen because they were so engaging. Even back then. Some people came for them. But then there were people who were just there shopping or getting a bottle of wine and just couldn’t walk away. Ramseur: They had people whipped up into a frenzy. Derek Young, musician, friend: They’ve always had that kind of sing-along vibe. Very welcoming. People were always intrigued. It was something different. Clay Fowler, friend: At that time, no one was playing the banjo. There were no acts like that. Especially with that energy. Courtney Devores, music writer: It wasn’t just your grandpa’s acoustic music. They made it a lot cooler, with the harmonies and the shouts. Mullis: A high-energy mix between rock ’n’ roll and blues and bluegrass. Seth: So jubilant. So loose. Mike Orlando, musician, formerly of Cast Iron Filter: They opened for us probably five, 10 times. That was when I saw they just had it. And they were willing to play a hell of a lot of shows. When they were opening for us, they’d play for 150 bucks. But I mean, you could tell. We’d go and watch their sets. They were thrashers that just happened to pick up bluegrass instruments. They had this kind of stadium energy. And the interplay between the two brothers? There’s nothing like kids who grew up together singing. Davis: You could tell at that point that they were really trying to go for something. You kind of got the feeling something big was about to happen. You could sense everybody else felt like it too. Susie: There were so many people there at the George Washington Bookstore and Tavern (for the A Carolina Jubilee album release party concert). There were some people who didn’t get to come in. Engstrom: There were people out on the sidewalk. It was turning into a mob scene. Young: It was absolutely packed. Scott Padgett, Concord mayor: The Avetts, the Avetts — I kept hearing about the Avetts. But I had no idea. It was unlike anything I had ever seen in my life. They were jumping up and down and clapping and yelling. I had never seen so many people be that excited that long. They didn’t sit down. They knew the words. They knew all the words. I didn’t know if the ceiling was going to fall down or the floor was going to collapse. Laine Harling, owner of the Bookstore and Tavern: I could feel it in the floor upstairs. You could feel it. You could feel it moving. Scott: The feeling of spinning and sweat. Scott: It felt very safe and very natural. Harling: Scott was jacked when he came off the stage. He walked out toward the front door, and he said, “Someday somebody famous is going to play on that stage.” In my mind, I thought, Hey buddy, I think that’s you guys. Ramseur: I just knew then. Jim: You can gain notoriety by a number of ways. Shock value will do it. Purple hair and chrome teeth will do it. But it will only do it for a little while. Pretty soon people are going to see through that. They’re going to see there ain’t no talent there. Jim: You can see the storytelling in Scott and Seth’s songs. Scott and Seth, when they were heavily writing and we knew what they were writing — up until the last couple of years, we knew — I’d preview just about all their songs. They would come and share ’em with me, and I would make a couple of suggestions. Which I doubt they took. But their mama and I knew what they were going through when they were writing these songs, and their mama would cry. Ramseur: They come off very handmade to me. They’re a handmade act. Winkler: They established their own intent. They wanted their own style. They wanted it to be real. Barringer: Just look at their live shows. No matter what type of sound is coming out of their instruments, they are unabashed rock ’n’ rollers when they’re on the stage. They’re jumping and they’re singing. Tremendous energy. At heart, they’re rockers. Coston: They can bring a crowd up and down at will. It’s something you can’t teach. Childers: They have a great presence. Intangible qualities. These things are gifts. It’s just natural, something kind of wild and savage about how they are on the stage. They got a little wild energy. It’s just the way they are. There’s nothing phony about it. Claire Armbruster, general manager, KCA Artists in Nashville: When I saw them, I got it. Padgett: They’ve taken something that has roots here and built on it and made it their own. Wayne Burgess, friend: They write music like they’ve lived a hundred years. Ramseur: There’s something very Piedmont about them. Mike Collins, Charlotte talk show host: Their sensibilities about what they write about come from being raised here. Engstrom: I hear not loneliness. I hear the real raw part of being out in the country. I think it’s a huge influence on them. McCormac: I hear their life story. I hear the story of those around them. Don Weaver, friend: Them ol’ Avett brothers, they rock and roll now, ain’t no question about it, and they’re good boys, too. Engstrom: They’ve not forgotten where they’re from. Jim: Just because you can sing a song or write a song does not give you the right to be haughty. To act like you’re something that you ain’t. And to get away from your raisin’. That ain’t gonna be done. It’s not gonna be done. Childers: It gets back to their roots. If you have a tree that gets a lot of sunshine and water, it’s going to be healthy. That’s the way I see it. Davis: There are no fabrications or exaggerations. I think people who listen to them and watch them can feel that honesty. They mean it. Susie: They live three or four miles apart. They go to each other’s houses. You can just tell when they’re together that they love each other. You just can. The banter. The teasing. Engstrom: They are who they say they are. Michael Kruse, a graduate of Davidson College, is a staff writer at the Tampa Bay Times, where he has won state, regional, and national reporting and writing awards. He is a contributor to ESPN’s Grantland.com and the author of Taking the Shot: The Davidson Basketball Moment. The Avett Brothers will be playing at the Greensboro Coliseum on New Year’s Eve.